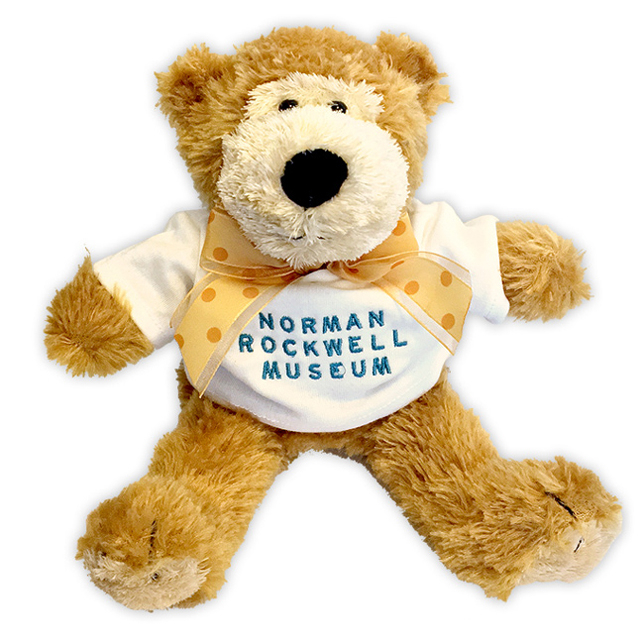 Plush charleston style teddy bear in exclusive Norman Rockwell Museum shirt, from Princess Soft Toys by Melissa & Doug. Bear measures 9" tall, made with all new material consisting of polyester and polyethylene (bean bag) pellets. Makes a great gift for all ages!